Everyone asks for the right keywords. NEWSFLASH: The right keywords won't land you a job. 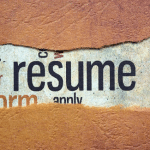 Even if you get the interview, if your entire strategy to land a job is focused on your resume or your LinkedIn profile being keyword optimized, without much plan beyond that, you will most likely find yourself frustrated... or with a really difficult job. You see, when I was a recruiter, only the jobs I couldn't fill with my network would end up in a job posting. If I had a really great job, most often I already knew a few people who could do it. So I would make those candidate calls and the process would start there. I wouldn't need to post the job, in many cases. Only the lazy recruiters depended on job postings because they didn't have a bank of awesome candidates to choose from. Not me. I did things differently. So if you are only answering job postings, you are missing out on many openings that never get posted. How can you get found before the job gets posted? Reach out to hiring managers directly with researched, well-thought out short e-notes to land exploratory and actual job interviews. Few people actually use this strategy. Want to know how to use LinkedIn to find hiring managers to land interviews and avoid job boards? Join me for one of the two LinkedIn training sessions I am holding on either Tues. 4/30 or Thurs. 5/2 at 1:30 p.m. ET. **4 different search parameters you can use to find hiring managers. **How to use LinkedIn differently than most other job seekers so you can stand out from the crowd. **3 actions to take to increase your visibility to hiring managers so they can find you, too. Join me on the free training and learn to stand out from your competition.